Why your brand should have purpose and a meaningful why. Every brand makes a promise that it's going to do something for its customer. However, in today's world, a brand promise really isn't enough. We need something deeper. Something that will connect more closely with our audience and our customers. 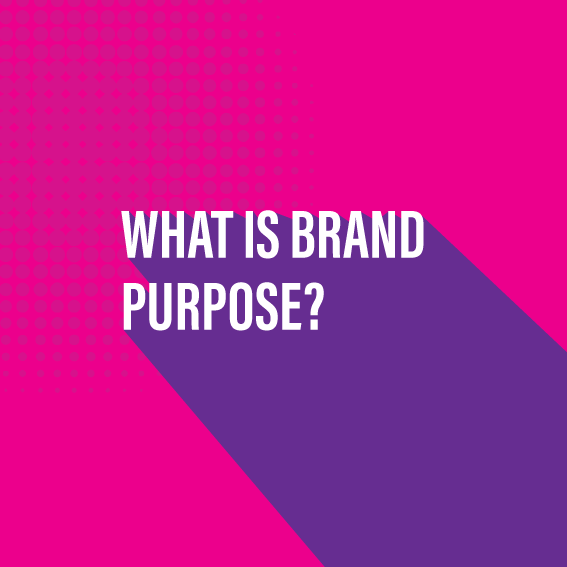 What you need is to define your brand purpose, or as it can otherwise be known, your brand's WHY. Every brand makes a promise that it's going to do something for its customer. For example, FedEx's brand promise is "If it has to absolutely, positively be there overnight." However, in today's world, a brand promise really isn't enough. We need something deeper. Something that will connect more closely with our audience and our customers. What we need is a brand purpose, sometimes known as your "why". By having a defining purpose, you'll be able to connect more strongly with people, and you'll also be able to differentiate your brand from your competitors. Your brand purpose is to transcend what you sell. Now, a good example of a brand purpose would be one from IKEA, and theirs is, "Create a better, everyday life for the many people." Now, what IKEA didn't say, is they didn't say, "We make great and functional furniture." Any other furniture maker could say that, as well. No, IKEA want their products to make life better for everyone. Who could say no to that? I think we can see why people would connect to IKEA and their brand on a deeper level, through that brand purpose, and not because they make great chairs and they serve amazing meatballs in the cafeteria. Let's look at Dove and look at their brand promise. "Create a world where beauty is a source of confidence, and not anxiety." Dove are fighting back against all of the photographic trickery, and unrealistic depictions, in fashion, of body image. So, as you can see, again, it goes way beyond the products that they sell. They're not saying, "Buy our shampoo. It makes your hair look great. Buy our soap, it makes you smell great." It's a deeper purpose than that. They have something that they want to achieve, and their customers buy into that, and it's something that means a lot to them, as well as the brand. And by connecting these two groups together, you've got something really powerful. Here's something I want you to do. Think about your brand. Does it have a strong purpose? Or are you just really giving lip service to your audience? Coming up with a true brand purpose can take some time. It's not an easy task, but when you find it, it'll be the engine that drives your brand forward, and makes everything else fall into place, including your vision and your mission statement. By combining your purpose with a vision, and mission, the chances are, your brand's going to have much greater success than those that just go out there to make money. Now, your brand purpose is just another small element in the overall brand picture. You've heard me talk about vision and mission, very briefly, in this video, and I will be covering both of those in future videos, on my channel. So make sure you subscribe to the channel. Give the video a like. Leave a comment, if you find it useful, and until I see you next time, stay creative, folks.